In addition to a small assortment of curries, Kobe Curry serves small plates with Japanese influences. Terún takes advantage of the local Mediterranean climate in offering outdoor dining streetside. The ice cream at Tin Pot Creamery is produced in small batches in a selection of creative flavors. Louisiana Bistro’s shrimp po’boy comes stuffed with a generous helping of fried shrimp. MOOYAH is known for its burger topping choices and its fries, which have a high-maintenance preparation. Tava’s Burrotis employ the same concept as the burrito, but use roti (flatbread) to wrap up fillings with Indian flavors. SP2’s expansive patio, which fronts the restaurant, is particularly suited to large groups. ShakesBEERience brings the Bard to dinner or drinks at Cafe Stritch. Loteria Taco Bar serves a variety of tacos that are filling—and in some cases, pack a little heat, too. Chef Derek Biazo is confident he can regain Alexander’s Michelin star. Strike Brewing Company is nearing completion on a brewery and taproom in San Jose that could produce up to 5,000 barrels of beer annually. Let’s face it; most of us make the mistake of solely thinking about locksmiths when an emergency rises and there is no way of avoiding them. The faster they can unlock an accidentally locked car door, the quicker we can resume our schedule for the day. And when you live in Silicon Valley, a place of thriving high tech corporations and thousands of startups, spinning the wheels of your business is a definite must no matter what. However, to your surprise, there are quite a few Santa Clara businesses that are making full use of authorized locksmith help more often than once a year. 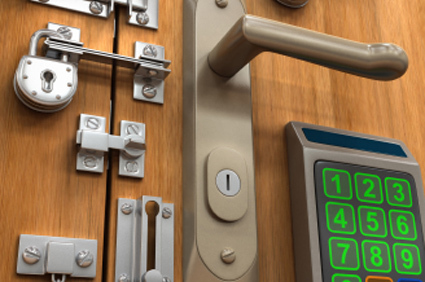 Considering the main concern of these technicians is to reinsure the security of your home, office, or car via fixed or newly installed locks, it is crucial to know where and how to find a reliable professional. “I don’t understand what’s the big fuss about it, I can simply do an online search and find a Silicon Valley locksmith right away!” Of course you can, but how can you be absolutely sure they won’t be leaving with a copy of your key? Or that they won’t be extra charging you when they arrive to your location? In theory, finding a locksmith can be done easily through a number of ways. Needless to say as long as you own a smartphone connected to the internet – and we are talking about the Silicon Valley region, so WiFi and smart devices should not be a problem! – you can pull it out and put your favorite search engine to work. Type in “Santa Clara”+”emergency locksmith”/”car/home lockout service” and wait for the results to show up. Click on a couple of sites, check and see if they are authorized and if they have positive reviews from customers. The existence of a 24/7 customer support call center is an indicator of a trustworthy and reliable company. Call their number – toll free numbers indicate the fact that the company has taken the trouble to make phone calls free of charge for you, so it’s less likely they are scammers. If a human operator takes your calls and handles it with professionalism, you have most likely come across a good company. The fellows at www.247losangeleslocksmiths.com are a fine example of a reliable 24/7 locksmith company serving the needs of Los Angeles residents, including car, home, and office service. Their call center is available round the clock and they display a transparent price table that should leave no room for interpretation. They also reserve the right to inform you of any additional charges and work that might be required upon reaching your location and carefully assessing your lock situation. All of their technicians are licensed and trained, and their service is insured and bonded – additional signs that you have come across a trustworthy crew. Pick a locksmith that provides customers with free estimates and keep an eye on discounts offered to new customers or new home owners and don’t hesitate to ask for references from your relatives or co-workers. Any food can be placed on a pizza crust, but does that really mean one should. Kansui, a pop-up restaurant, serves ramen with a creative spin. LIttle Lou’s BBQ began hosting live shows about seven or eight months ago, and now draws a variety of musicians. The Craft Beverage Expo, holding its inaugural run in San Jose this week, is expected to draw small craft breweries, wineries and distilleries. Here’s a sampling of favorite spots with outdoor dining. An abundance of homegrown garlic, peppers and tomatoes inspired Vincent Verret to start his own hot sauce company. Cocktail offerings at Paper Plane include spirits that are barrel-aged in-house.